We are currently working on getting our new podcast Moving2Live ready to launch in early 2017. FitLabPGH is all about exploring people, businesses and activities in the PGH area that recognize movement is part of making your life complete. Moving2Live is also a movement based podcast. We will be interviewing fitness and movement professionals from across the US and world. Each interview will be divided into two parts. One part will be professional to professional. The second part will emphasize information from the fitness and movement professional that can be utilized by professionals and people who make movement a priority. 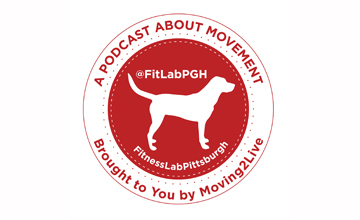 Just like FitLabPGH Moving2Live will publish weekly podcast interviews short enough to make you want to listen, but long enough to give you great information. We’ll make sure you know when Moving2Live launches. Thanks for listening to FitLabPGH, we’re really enjoying interviewing PGHers who understand movement is part of making your life complete.